This Pat Bagley cartoon appears in The Salt Lake Tribune on Tuesday, April 24, 2018. 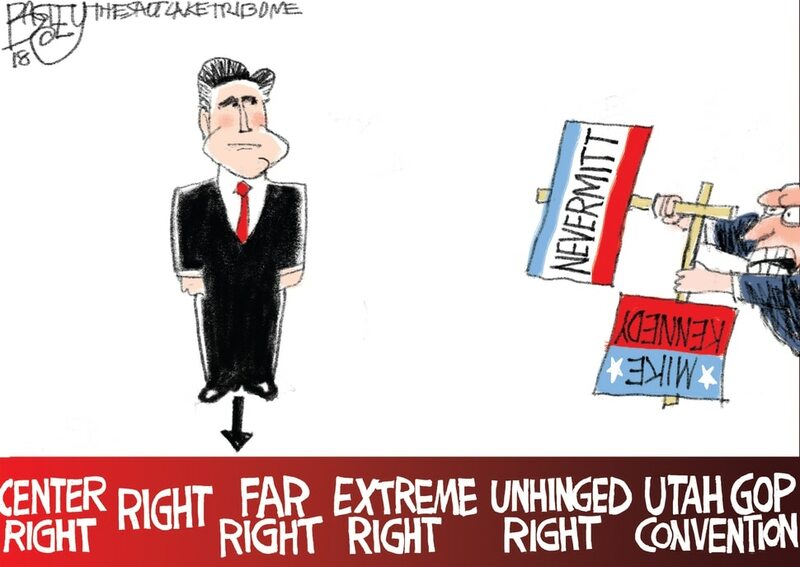 (Pat Bagley | The Salt Lake Tribune) This Pat Bagley cartoon, titled “Enfant Terrible,” appears in The Salt Lake Tribune on S... (Pat Bagley | The Salt Lake Tribune) This Pat Bagley cartoon appears in The Salt Lake Tribune on Friday, April 20, 2018. This Pat Bagley cartoon appears in The Salt Lake Tribune on Thursday, April 19, 2018. 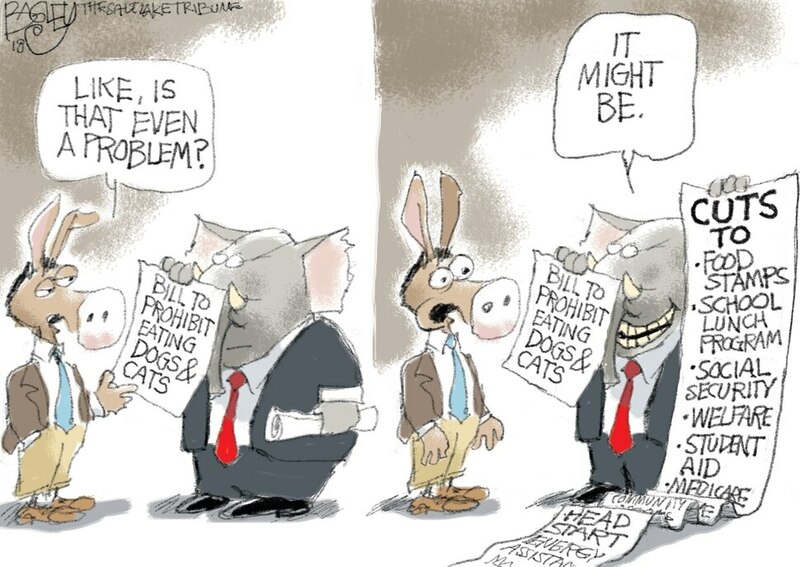 (Pat Bagley | The Salt Lake Tribune) This Pat Bagley cartoon appears in The Salt Lake Tribune on Wednesday, April 18, 2018. This Pat Bagley cartoon appears in The Salt Lake Tribune on Tuesday, April 17, 2018. This Pat Bagley cartoon appears in The Salt Lake Tribune on Sunday, April 15, 2018. This Pat Bagley cartoon appears in The Salt Lake Tribune on Friday, April 13, 2018. (Pat Bagley | The Salt Lake Tribune) This Pat Bagley cartoon appears in The Salt Lake Tribune on Thursday, April 12, 2018. This Pat Bagley cartoon appears in The Salt Lake Tribune on Wednesday, April 11, 2018. This Pat Bagley cartoon appears in The Salt Lake Tribune on Tuesday, April 10, 2018. This Pat Bagley cartoon appears in The Salt Lake Tribune on Tuesday, April 24, 2018. 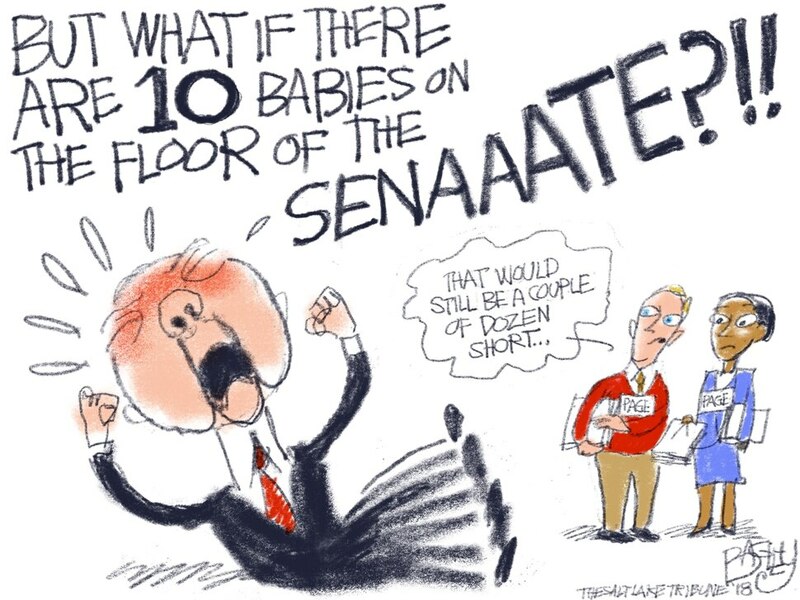 (Pat Bagley | The Salt Lake Tribune) This Pat Bagley cartoon, titled “Enfant Terrible,” appears in The Salt Lake Tribune on Sunday, April 22, 2018. (Pat Bagley | The Salt Lake Tribune) This Pat Bagley cartoon appears in The Salt Lake Tribune on Friday, April 20, 2018. This Pat Bagley cartoon appears in The Salt Lake Tribune on Thursday, April 19, 2018. (Pat Bagley | The Salt Lake Tribune) This Pat Bagley cartoon appears in The Salt Lake Tribune on Wednesday, April 18, 2018. This Pat Bagley cartoon appears in The Salt Lake Tribune on Tuesday, April 17, 2018. This Pat Bagley cartoon appears in The Salt Lake Tribune on Sunday, April 15, 2018. This Pat Bagley cartoon appears in The Salt Lake Tribune on Friday, April 13, 2018. (Pat Bagley | The Salt Lake Tribune) This Pat Bagley cartoon appears in The Salt Lake Tribune on Thursday, April 12, 2018. This Pat Bagley cartoon appears in The Salt Lake Tribune on Wednesday, April 11, 2018. This Pat Bagley cartoon appears in The Salt Lake Tribune on Tuesday, April 10, 2018. This Pat Bagley cartoon appears in The Salt Lake Tribune on Tuesday, April 23, 2018.